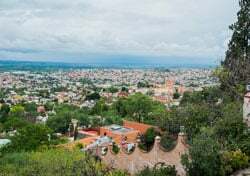 When you’re moving to Mexico, it helps to get the scoop on your new home city from expats who live there. They’ve already figured out which plumber is most reliable, which carpenter does the best work, and which market has the best produce and prices. They may also become your first friends in your new home. But where do you find the expats? There are lots of ways to seek them out. For instance, a useful first step is to search online before you ever leave for Mexico. One good source to start with is interest groups about Mexico, such as International Living’s Ask the Expert’s section. Here community experts—including expats already in Mexico—can steer you toward local expat groups and tell you how to contact them. Many expat havens already have local English-language websites and newspapers about the area. 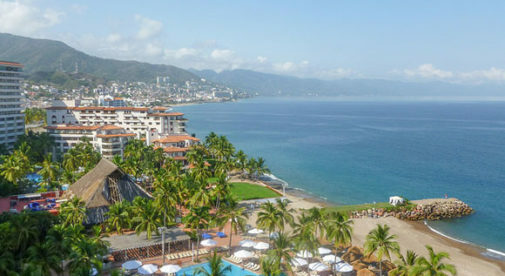 These include Mérida, with sites like Yucatán Today and Yucatán Living; Puerto Vallarta, with its Banderas News; and Lake Chapala, with the Guadalajara Reporter. You can glean useful information from all these sources. 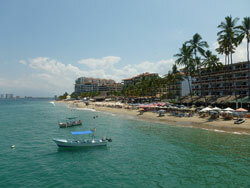 Beach towns like Puerto Vallarta make it easy to integrate with ready-made expat communities. But these are all “virtual” contacts. Once you’re on the ground in Mexico, it’s time to get physical. Most large or long-established expat communities have an expat center of some sort—a physical location where expats can meet others and find resources. Often it’s a library. That’s the case in Mérida, with its Mérida English Language Library; in San Miguel de Allende, with its Biblioteca Publica; and in Oaxaca, with the Oaxaca Lending Library. In beach towns like Playa del Carmen and Puerto Vallarta, many real estate agencies are owned by expats or employ them. In Manzanillo, which is on the Pacific Coast, and on the Yucatán’s Costa Maya, you’ll find expats running tourist businesses like scuba shacks, as well as expats with real estate companies. In other towns it may be expat-owned restaurants or cafés, like Guanajuato’s Café Tal. All these people may know which restaurants, cafés, and nightclubs local expats frequent. Head to the centro of colonial cities like San Miguel and you are guaranteed to spy a few gringos there. Finally, expats tend to migrate to specific places within town. Historic city centers, for instance. In colonial cities like Oaxaca, Mérida, and San Miguel, you’ll likely encounter many full-time expats living in the centro, strolling the streets and sitting at sidewalk cafés just like the tourists. The beach resort of Mazatlan also has a large colonial center, and you’ll find expats living here, too. Gringo-style warehouse stores like Sam’s Club, Costco and Home Depot also attract expats. (And if there are specialty food stores in town, as there are in Lake Chapala and in Huatulco, on the Pacific Coast, you’re guaranteed to spy a few gringos there.) If you’re open to meeting people casually, strike up a conversation over the snow peas or the salsas. Who knows? It could be the start of a beautiful friendship. This special guide covers real estate, retirement, and more in Mexico and is yours free when you sign up for our postcards below.